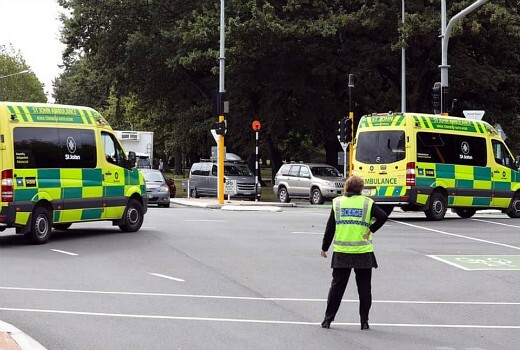 Media watchdog the Australian Communications and Media Authority has commenced a formal investigation into whether content broadcast by commercial, national and subscription broadcasters of Friday’s terrorist attack in Christchurch breached current rules. The investigation will focus on any content of the perpetrator-filmed, live streamed footage of the shootings that was broadcast on Australian television. Networks have been criticised for screening “live streaming” footage showing gunfire, in some instances inside a Christchurch mosque. ACMA Chair Nerida O’Loughlin will write to the CEOs of all broadcasters requesting urgent information on the nature, extent and timing of the broadcast of content relating to the shootings, in particular from the day of the attack. The ACMA will also request urgent meetings with Free TV Australia and the Australian Subscription Television and Radio Association to discuss whether current rules are providing adequate protections for Australian audiences. I think media say too much as well. Like showing a picture of the gun-mans home, his family and then make comments that his family left the house but the dog was home alone…really. Anyone mad as a hatter could have come to do something to home and animal. I get sick of seeing the same thing over and over. IMO, this is such a tough decision to make! We look forward to a date sometime in 2022 when ACMA come back with some sort of outcome to its investigation. By then, it will have accumulated hundreds of wet lettuce leaves to punish everyone involved. Don’t broadcasters have a disclaimer that they are about to show you sensitive material? They give you fair warning I think. You’re not forced to watch it. See discussion yesterday for much bigger questions raised. Only works if you’re watching that channel at the time of the ‘warning’. Doesn’t work for viewers missing that three-seconds notice switching on when the station deems it necessary to rerun the vision for the umpteenth time. Switched over to 7 after the start of Sunday Night, to cop it all again, over and over and over. NZ authorities specifically asked ANZ media not to broadcast footage. Do we allow broadcasters to ignore those requests and merely put a brief warning on screen? All for ratings. Let’s see if ACMA has any teeth in this process and if there’s any real change. Facebook Live also has a lot to answer for. JohnW: Yes,to me Facebook is the biggest culprit here; one report said it was seen by close to a quarter of a million subscribers before it was removed. Other horrific material uploaded in the past has been seen by thousands before it has been taken off. Apparently this sort of stuff stays on until someone complains about the content. Social media has to be reformed! I’m not on Facebook by the way and never want to be!